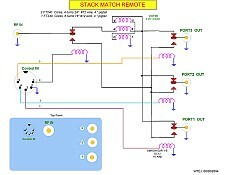 position currently is totally automated for these functions. 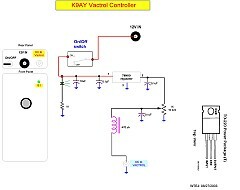 K9AY Vactrol contoller. 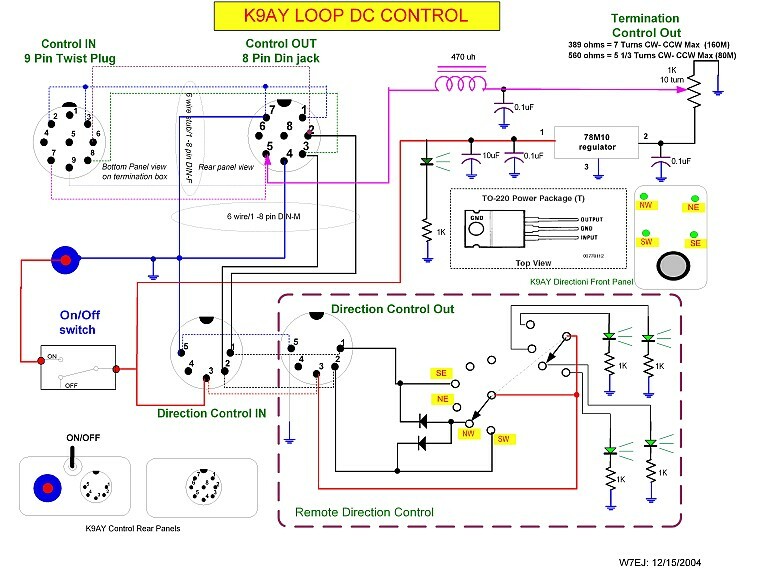 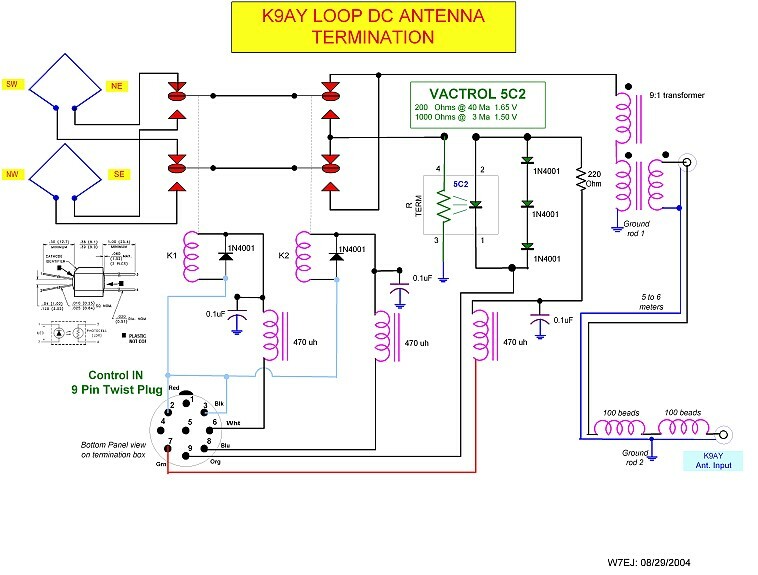 Used to remotely change the termination resistance of the K9AY loop for 80 or 160. 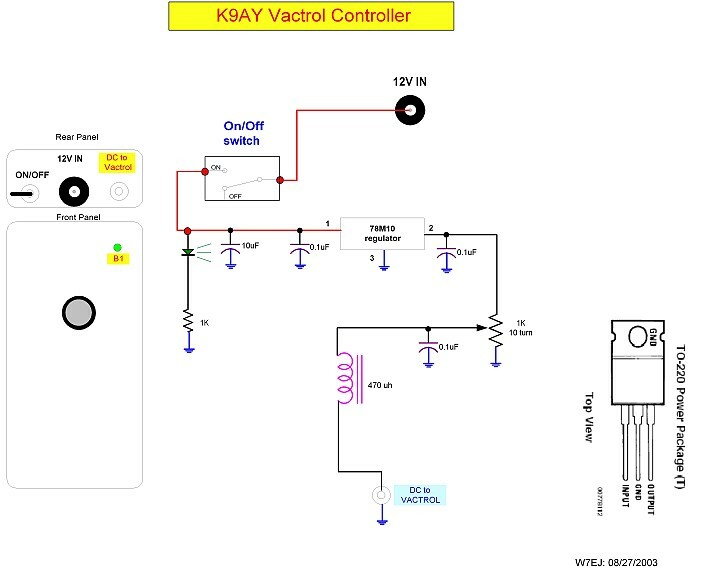 Current K9AY remote termination box with integrated vactrol and relays for 4 directions. 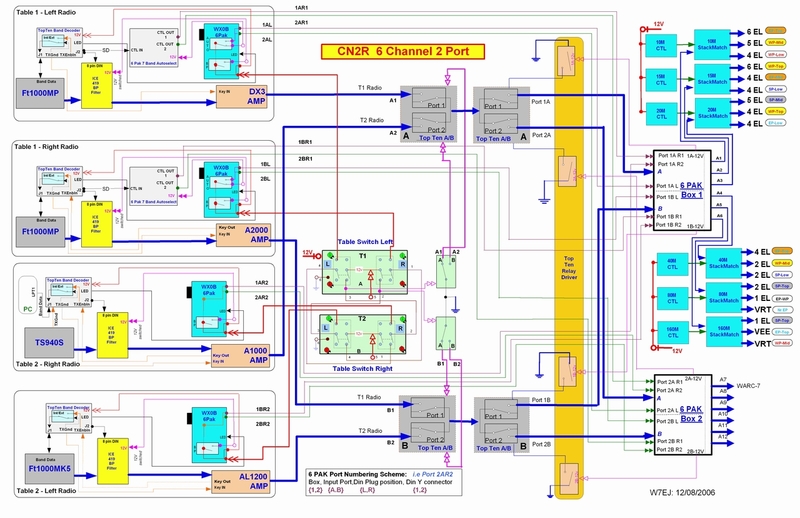 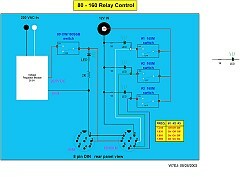 Array Solutions 6 PAK controller modified to support 12 V routing and control. 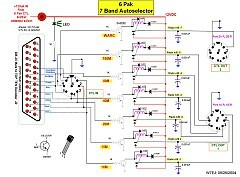 6 PAK 7 band Autoselector. 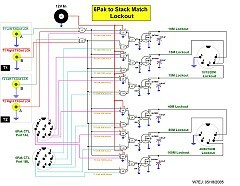 This box allows the FT1000MP to control the TopTen which then drives these relays for the 6 Pak auto band selection. 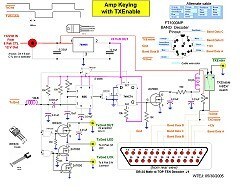 This is the Amp Keying with TxEnable box. 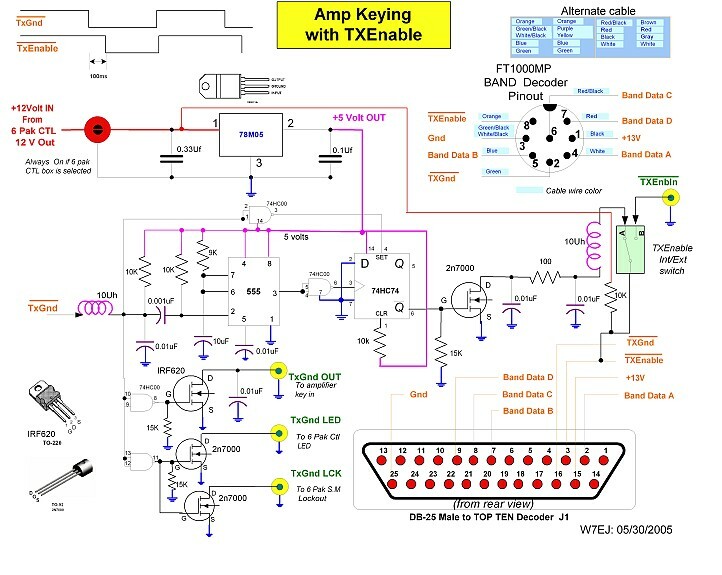 Non-QSK amps can use the built-in delay to signal the FT1000MP when to transmit. 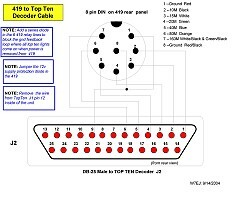 TopTen band decoder to ICE 419 bandpass filter interface cable. 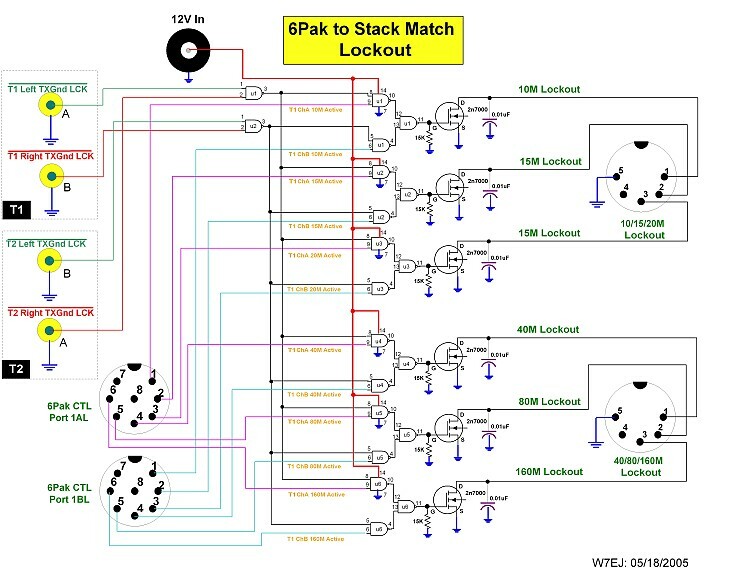 Serial port keying cable for Writelog. 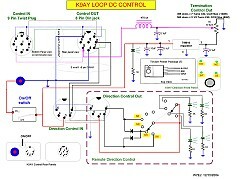 The Rig Blaster keying and CW is generated from this circuit. 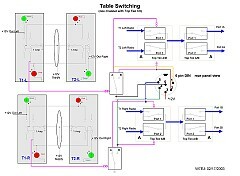 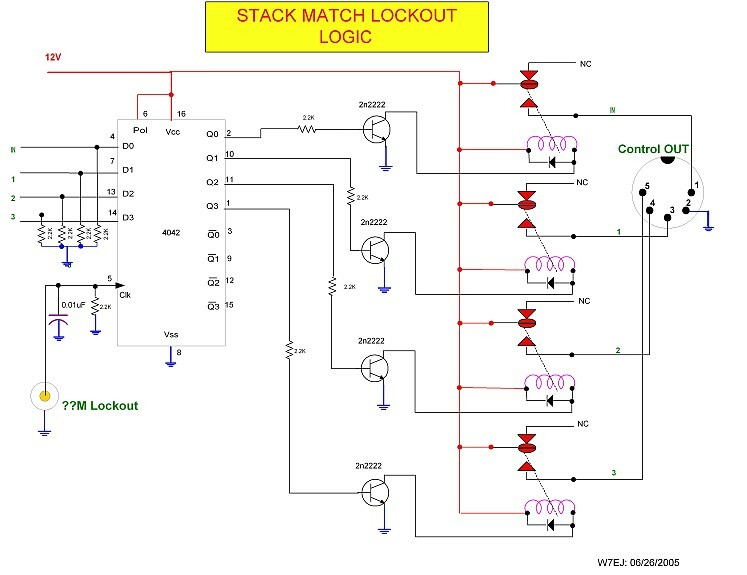 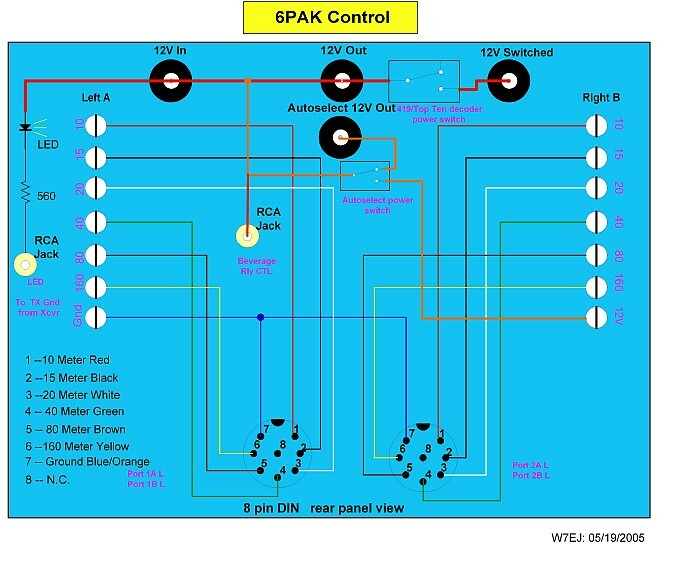 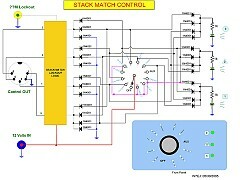 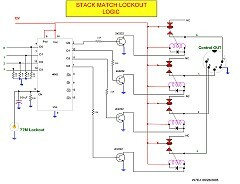 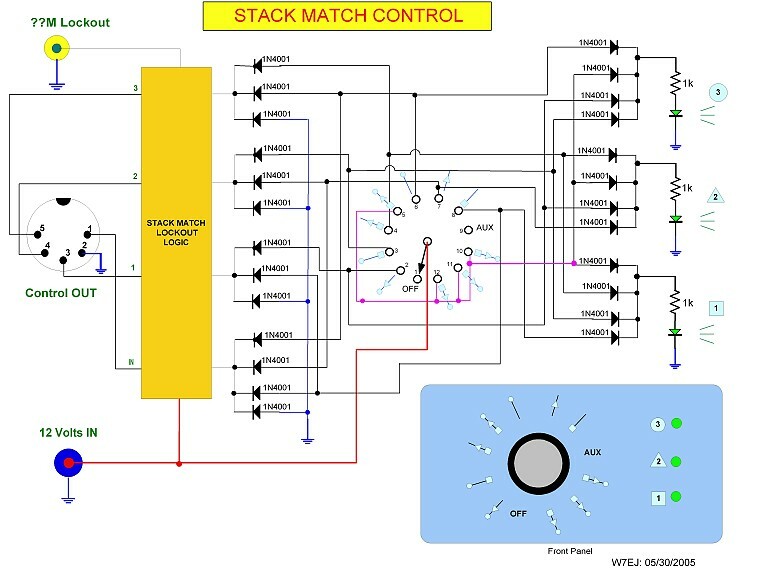 This is the Array Solutions Stack Match control. 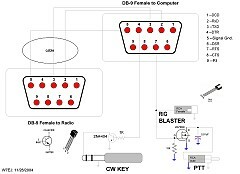 The station uses these to select any combination of 3 antennas on a band. 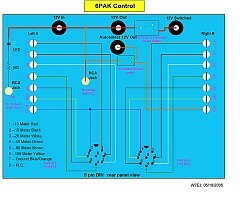 No antennas are phased.. 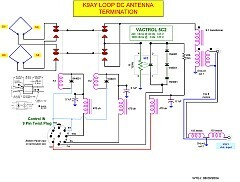 This circuitry is the central controller for locking out the switching of antennas if a radio is transmitting on the band. 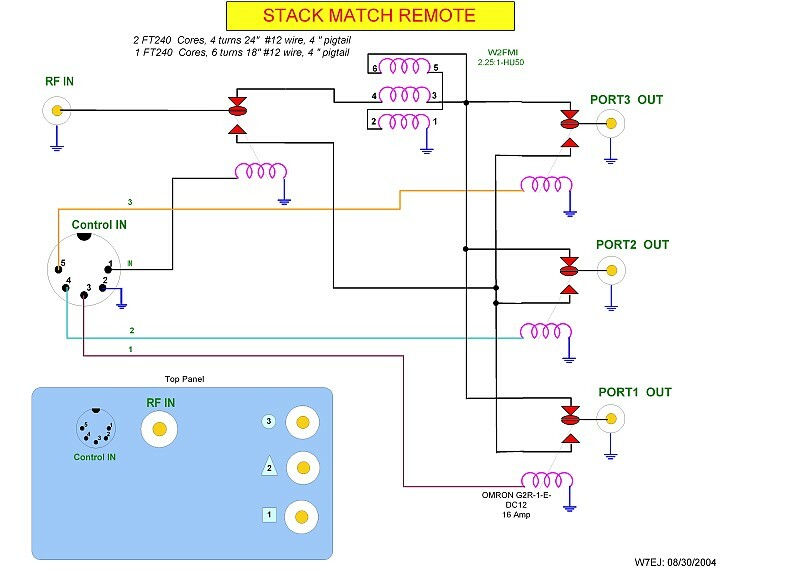 The station has 3 homebrew Stack Matches. 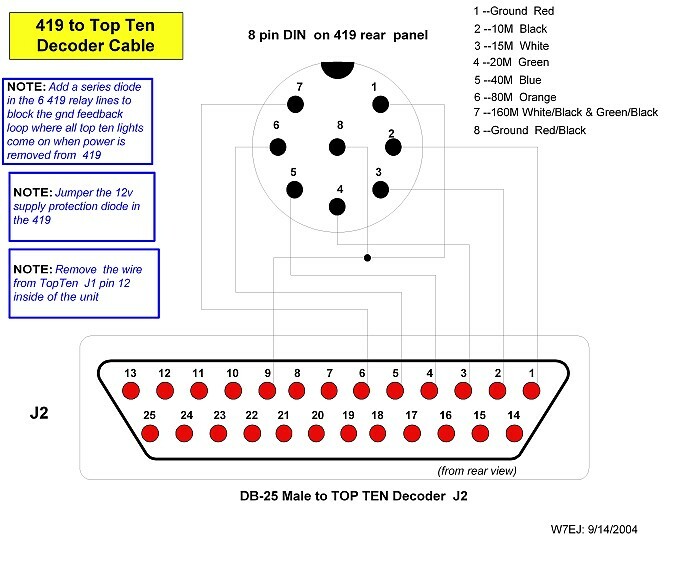 This box acts as a power splitter if more than one antenna is selected. The 2 El 80M yagi relays and the 3 160M relays are controlled by this box. 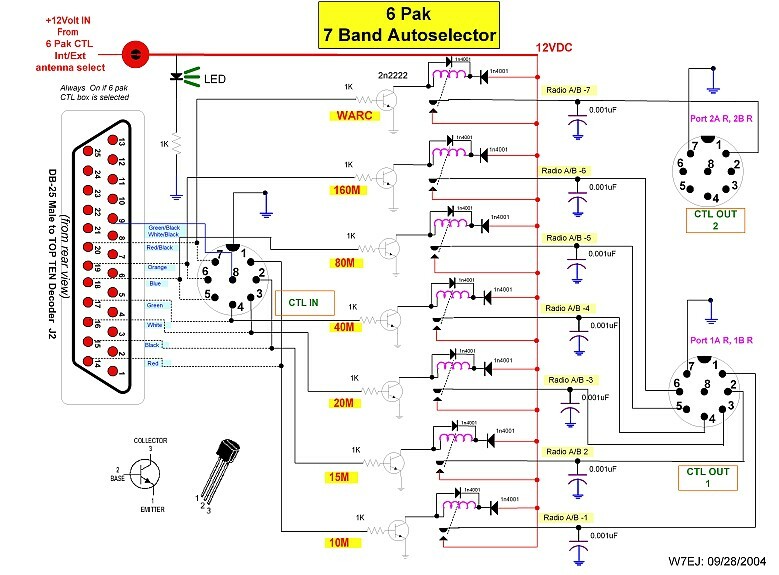 This circuitry allows 2 of 4 radios to be selected for driving the antennas. 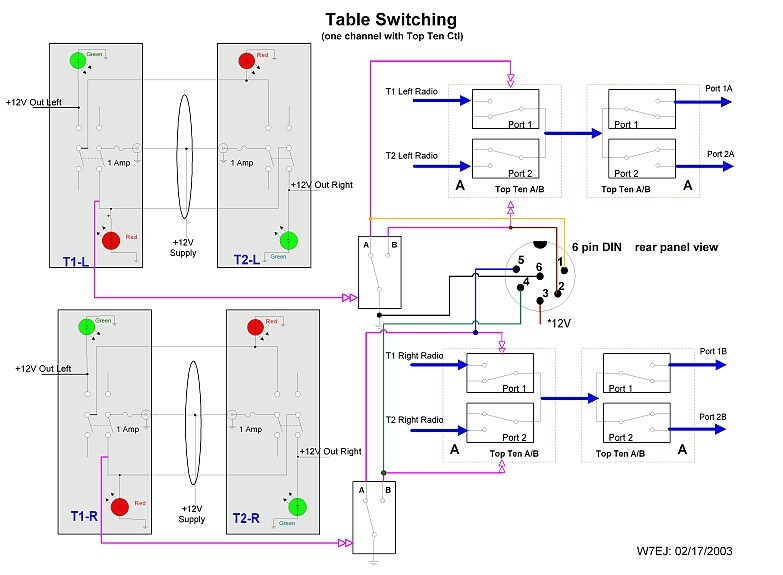 One or both radios may be on either table. 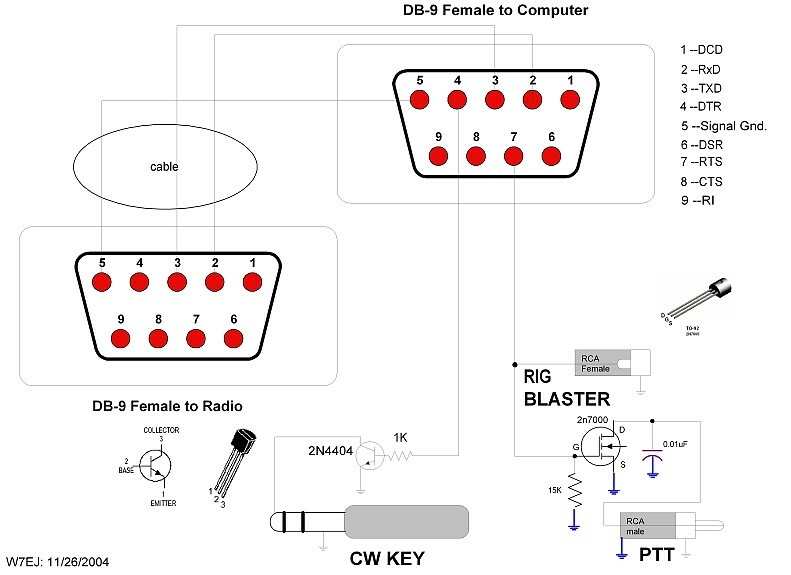 A large view of the CN2R radio and antenna control. 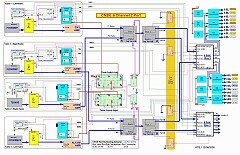 Many of the circuits above are interconnected in this diagram.